How do I add / invite my students? What is the code for? 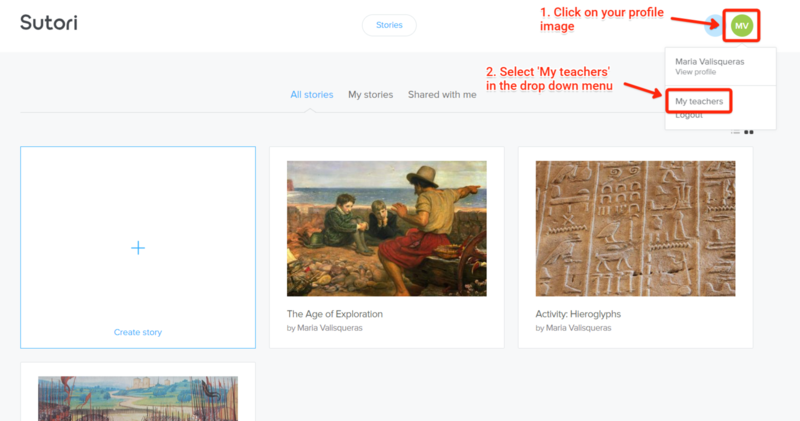 Adding your students is essential if you want to automatically access and add comments to your students work. You&apos;ll also gain access to useful stats. If you upgrade to Unlimited, students will also have access to all of of Sutori&apos;s features beyond the trial period. First of all, go to your &apos;Students&apos; page where you&apos;ll notice an &apos;Invite Students&apos; button (screenshot below). Once you click on it, two options will come up to get your students onboard. 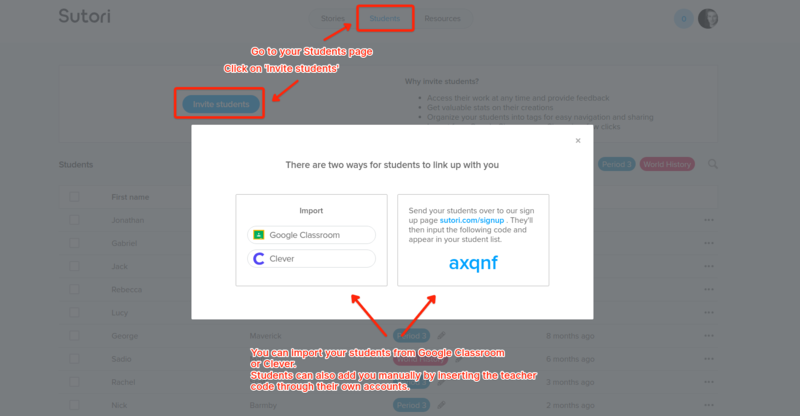 You can import directly your student roster from Google Classroom or Clever. Signed up students can also add you as a teacher using the 5 digit code. Added students will immediately be part of your list of students, although you may need to reload/refresh the page for their names to appear.